Georgie Hallam has developed this adorable but so practical vest. 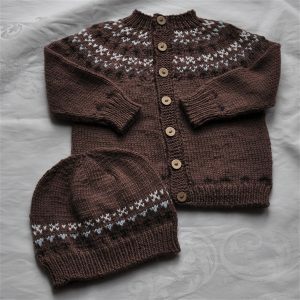 Perfect for those cooler Autumn days where your wee one needs a bit more warmth around their body but still be free enough for good play at pre-school/day care. 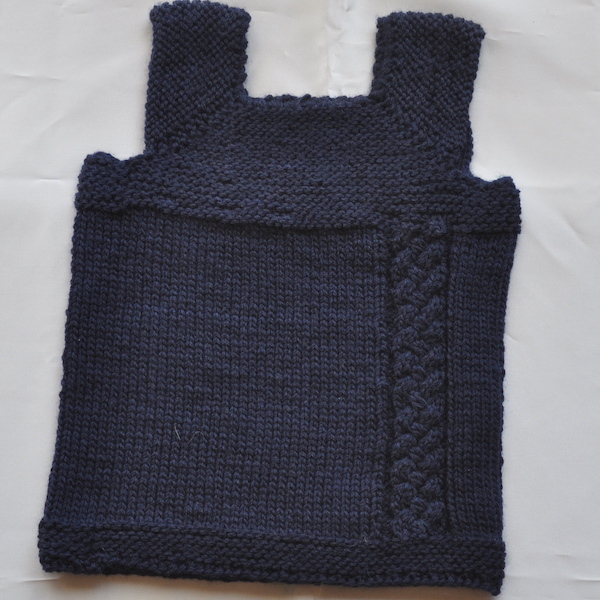 Hand knitted in Patons Totem 8ply (medium/winter weight) crepe in a dark navy. To fit (approx) 12 months+. 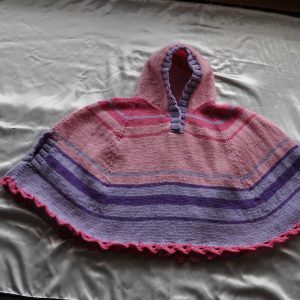 Measures 44cm around the chest and 29cm from shoulder to lower edge. It is designed to be a close fit.